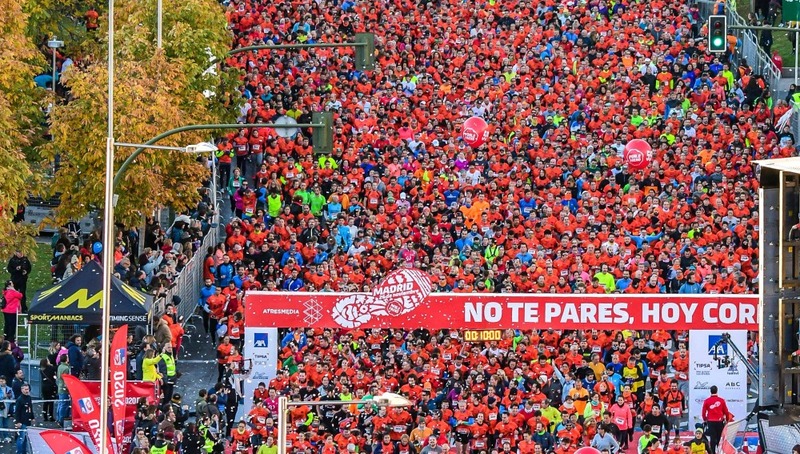 PONLE FRENO, the largest social campaign promoted by Atresmedia, one of the biggest Spanish communication groups, is launching the call for its POPULAR RACE in Madrid. This race has been taking place for 10 years and pays tribute to those killed in road accidents while reflecting the commitment to achieve no victims on the road. The race will take place on 25 November at 9:00 in Madrid and aim to match its record number of runners - 20 000 in previous editions. The campaign begins today, coinciding with the European Day Without a Road Death, with a spot broadcasted on all Atresmedia TV and radio channels, as well as on the ponlefreno.com website. Registrations have also been opened today for everyone who wants to participate. The spot features runners from previous editions who have been asked to share their stories and what the race means for them. These real stories are part of the Ponle Freno footprint, made up by each of the thousands of participants that have come year after year to the race and that at the same time has become an icon that symbolises its 10 years of work for road safety. Through the hashtag #ponlefrenofootprint, people are encouraged to share the motivations that have driven them to run on this unique date. The Ponle Freno footprint also has a meaning that is a further reason to participate and is the aspect of the race that most shows solidarity with others: once runners have crossed the finish line, each race footprint continues through a collection from the registrations. This collection is entirely, and since the very beginning, allocated to actions and projects for road traffic victims.